As expected, results from the recently-concluded 2015 World Series of Poker (WSOP) and its 67 poker tournaments have shaked up the current Global Poker Index (GPI) rankings. Numerous are the notables who successfully made some big leaps upwards in this world-renown poker festival. 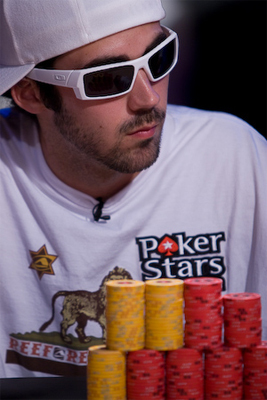 Jason Mercier is part of them. The American poker pro has just delivered an impressive performance by jumping over 6 spots to get back to 2nd position. Securing the lead is Zinno Anthony. Dan Smith, for his part, now sits on 3rd position with Scott Seiver right behind (4th position). Seiver is listed among the weeks biggest gains as he jumped over 8 spots. Davidi Kitai (5th), Stephen Chidwick (6th) and Dario Sammartino (7th) remain in the same position as last week. As for Bryn Kenney, he lost 5 spots this week to 8th position. Paul Volpe is also back in the Top 10 and is currently ranked 9th. Rounding out the Top 10 is Byron Kaverman. Alongside Jason Mercier and Scott Seiver, Blake Bohn also enjoys a great performance this week. With his 23rd-place finish in the WSOP Main Event, he made his own way to the Top 100 by leaping over 90 spots. Justin Bonomo, Daniel Negreanu and Matt Waxman have also seen their positions improved. Against their will, Joao Vieira, Mike McDonald, Dan Colman and Andrew Chen fall into the biggest drops of the week. What we can expect for the next weeks update is a relatively tiny up-and-down movement overall.